On a recent visit to Suurbraak I picked up a leaflet about the village and found the address of the groups that creates the hand-crafted “Van Gogh” chairs, which we have in our dining room at Augusta. One of Van Gogh’s famous paintings, titled Vincent’s Chair, features a chair which takes up most of the canvas. This is the style that is being hand-crafted at the ‘Suurbraak Skrynwerkers’: the wood is canary pine and the seats woven sea-grass, both growing locally. The old “bodging” method is used. To quote from an arts and crafts magazine: “Workers seat themselves on a shaving horse, clamp the wood in front of them, patiently shape the timber into pieces which will finally fit together”. The same method is used for their Suurbraak rockers, barstools, barchairs, highback chairs and footstools. For many years the Suurbraak Chair Bodgers have been carving out an existence as a co-operative worker-owned business. The furniture produced here is available at selected outlets country-wide. The technique and tools used to bodge these chairs is unique to South Africa. 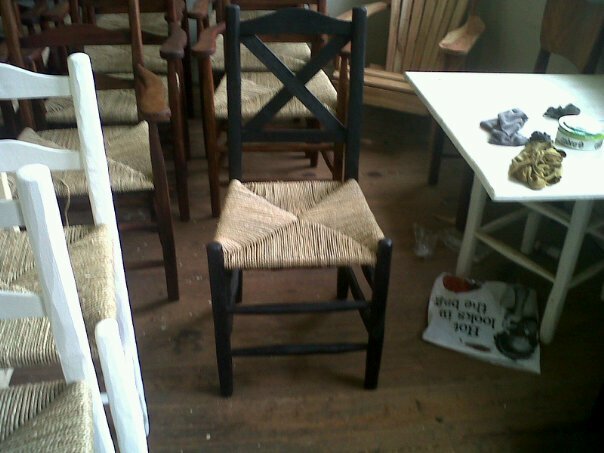 Each piece is shaped by a drawknife on a shaving horse and the seat is woven by hand – making each chair truly unique. The Suurbraak Carpentry group welcomes visitors who would like to see the production process. From rocking chairs to bar stools and footstools, these items are well priced and would make attractive additions to any home. 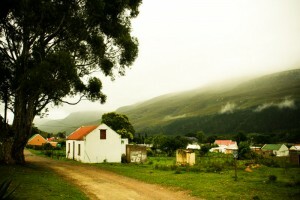 Suurbraak lies at the foot of the Langeberg Mountains in the Tradouws River Valley, about 20km from Swellendam. As you enter the village, we suggest a stop at the long, low, thatched building housing the Tourist Information Bureau. The name Suurbraak has always intrigued visitors: why would anyone want to call a place sour? The explanation is that the Attaqua tribe of the Quena or Khoi people once occupied this area, which lies near their ancient trading paths. It was so lovely that they called it Xairu: beautiful/paradise. When the Dutch explorers came along, they found many thicket-bracken ferns: in Dutch zuurbraak. Later, people started to call it “Suurbraak”, probably on the assumption that the Dutch were referring to sour or fallow land. Centuries ago the Attaqua set up their kraal here and in 1809 their chief, Kaptein Hans Moes, invited the London Missionary Society to establish a mission station, which they did a few years later. 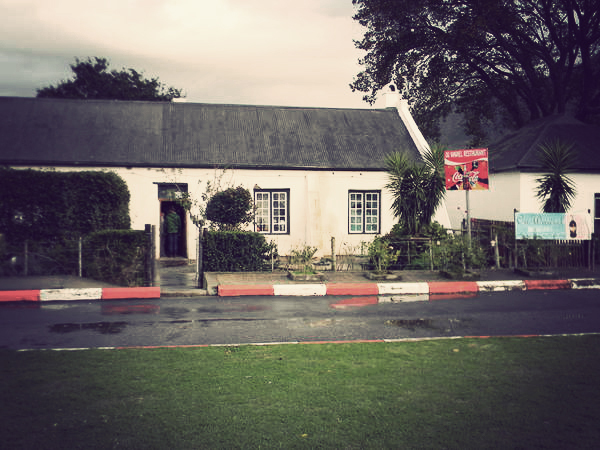 Visitors driving through the village can appreciate the neat cottages lining the Main Road, and the style of double storey houses quaint in their uneveness. Besides the Suurbraak Skrynwerkers in Manha Road, there are other places to visit: the Xairu Rustic Furniture shop on the Main Road where benches, tables and so on are carefully crafted from alien vegetation. The valley is rich in fynbos and bird life and one can explore the old cattle paths. Community guides are available for these hikes and also for ambles round the village. The isolation of Suurbraak is one of its charms,but limits the financial resources of the people. Many still cook on wood stoves, using an abundance of alien vegetation that grows in this area. The people live close to the land using farming methods that belong to the past. The smaller farms still ploughed use horse-drawn ploughs. Agricultural work is often done manually. Many households own at least one cow and some horses. Horse- and donkey-drawn carts are often seen on the streets.